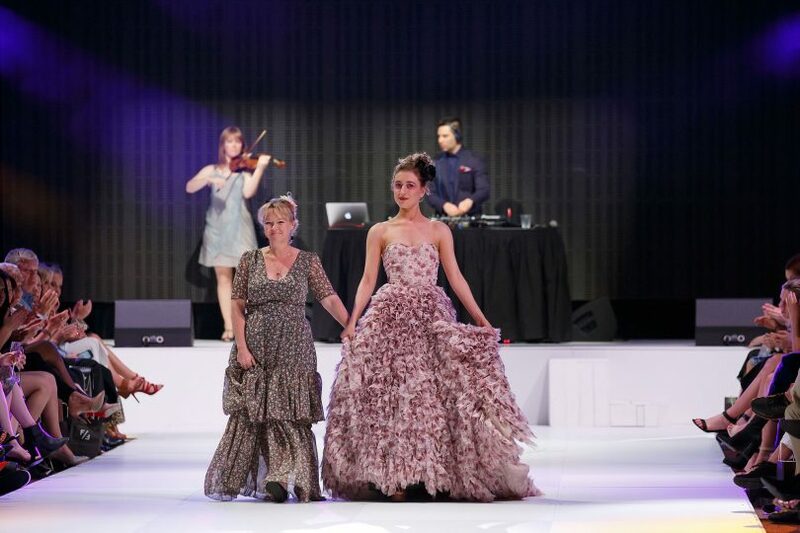 A showstopper by Megan Cannings Designs, at FASHFEST 2016. Photo: Victor Tawagi. Megan Cannings is no ordinary fashion designer. She failed home economics and struggles to read patterns—indeed, she says she’s ‘hopeless’ at it. But none of that has stopped Megan from creating beautiful, detailed and intricate fashion, including mega gowns that float on the runway. Megan will showcase some ‘Megan Cannings Designs’ pieces she recently presented at New York Fashion Week, never before seen in the capital. New York was Megan’s first international show but not her first international invitation. It’s been a big few years for Megan, with life throwing several curve balls her way. Cyclone Debbie devastated her home in north Queensland in March 2017. The roof ripped off, the veranda caved in and all of Megan’s sewing equipment and fabrics were destroyed. After weeks of clean-up, Megan picked herself up and moved to Sydney to start over again. As a little girl, Megan always dreamed of being a fashion designer. She started sewing under the watchful eye of her aunty Pauline when she was in Grade 6. She’s taken a couple of sewing classes but has no other formal training. Instead, she designs primarily through intuition. 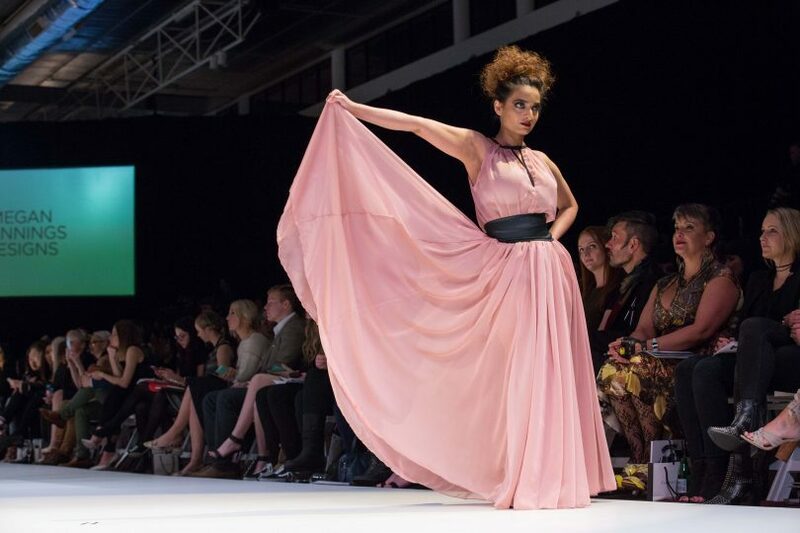 ‘Floaty and feminine’ is how Megan describes her aesthetic, and the collection of gowns she’ll showcase this Friday at FASHFEST is no exception. Megan (left) at FASHFEST 2017. Photo: Anthony Caffery. Megan will be the first of three designers at the 19 October show. She’ll be followed by the youngest designer to ever put a full collection on the catwalk, Charly Thorn, who—at just 19 years of age—has designed an evening luxe collection with vibrant silks. The show finishes off with pieces by Hajar Gala Couture, including gowns shown at Paris Fashion Week. After FASHFEST, Megan will concentrate on manufacturing and developing the retail side of her business. Plans are underway for her to stock her designs in a boutique on the Gold Coast. 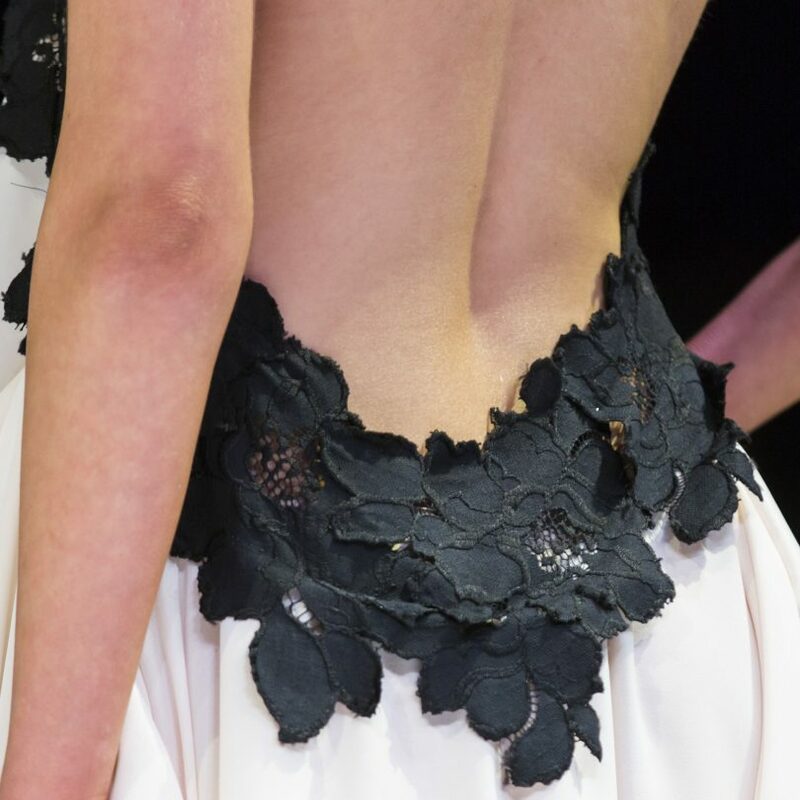 The divine detail in Megan Cannings Designs. Photo: Martin Ollman. This year, FASHFEST is changing it up, hosting a series of rolling shows in cultural institutions and buildings of historic significance. On 19 October the same show will repeat twice. Other shows will be held in December and February.